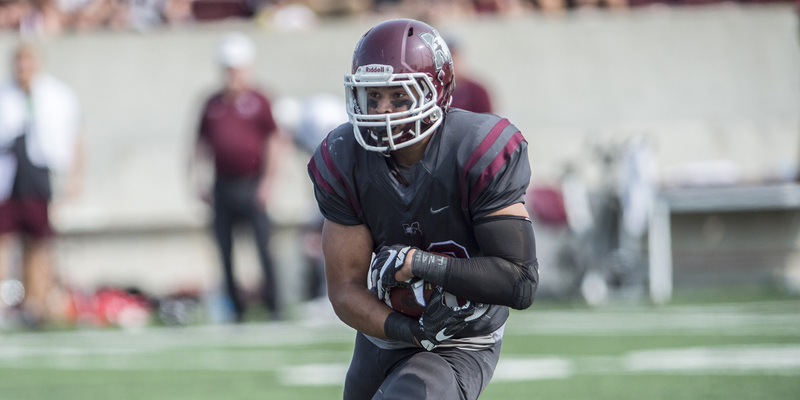 Headlining the InstantScouting 2018 Elite Class: U Sports – Running Backs is McMaster University speedster Jordan Lyons. Racking up 700 yards and averaging 87.5 yards per game along the ground in the regular season, Lyons turned in a historic performance in McMaster’s OUA quarter-final victory over the Queen’s Gaels, tying an OUA record with 39 carries and amassing a total of 319 yards that stood second in U SPORTS all-time playoff annals. Rushed for 825 yards and 8 touchdowns including a 73-yard run at Laurier the past regular season. Sherbrooke RB rushed for 304 yards and 3 touchdowns. Ranked 5th in conference with 429 yards rushing on 86 touches at the University of Calgary. Rushed for over 1100 yards including a 52-yard run. Averaged 6.9 yards per carry on 84 rushes with 10 touchdowns at Western. Teammate of Cedric Joseph had 831 rushing yards on 107 including 2 touchdowns. Rushed for 935 yards and 4 touchdowns at Windsor. RB at Acadia had 1030 yards rushing in 8 games played with 6 touchdowns. FB at Laval helped team rush for a total of over 1200 yards during the season. Had season cut short to 4 games because of injury but was still selected to U Sports East-West Bowl.